Several years ago while looking for assets owned by a judgment debtor I discovered that he had recently transferred title to his Corvette to his daughter. It is unusual to find such an obvious example of a fraudulent transfer, but it was not difficult to recover the vehicle and apply it to the amount owed to my client. Traditionally, a transfer of an asset is considered fraudulent if it is made to an “insider”, such as family member; for less than fair value; when the debtor had been sued or was threatened to be sued. The law has also established other indicators that a transfer is fraudulent. These are known as “badges of fraud”. Some examples are: the debtor maintained possession or control of the asset; the transfer was concealed; or the transfer was of all of the debtor’s assets. Another example would be that a lien is created on property of the debtor, simply to keep it from being seized. For corporate debts an officer who is in charge of a business may be held personally responsible if he pays himself before providing for payment to creditors. The officer is considered to hold property of the corporation “in trust” for payment to creditors of the corporation. If he pays himself and the corporation becomes insolvent, a creditor may try and recover against the officer personally. You often see it where it is clear that a business is about to go under and a person in charge of the business starts draining the assets, leaving the creditors out to dry. Previous PostReal Estate and Property Law 101 – What is an Easement? 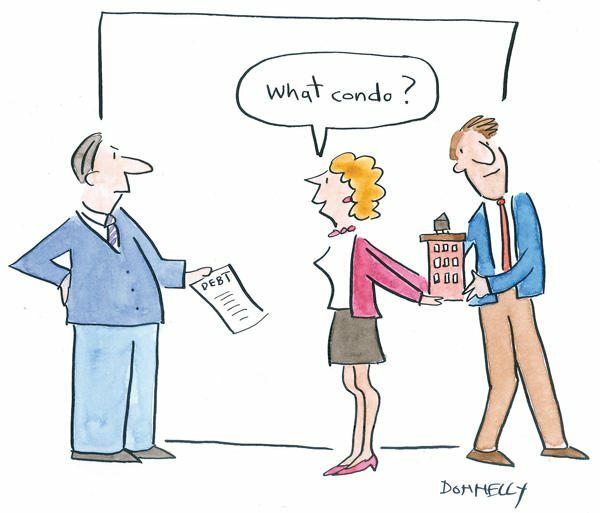 Next PostCommunity Association Law: Can You Turn Down an Applicant for Sale or Lease?